The Victorians loved monkeys. They kept them as pets and decorated their homes with monkey-themed objects d'art. This tea light holder is a timeless example. 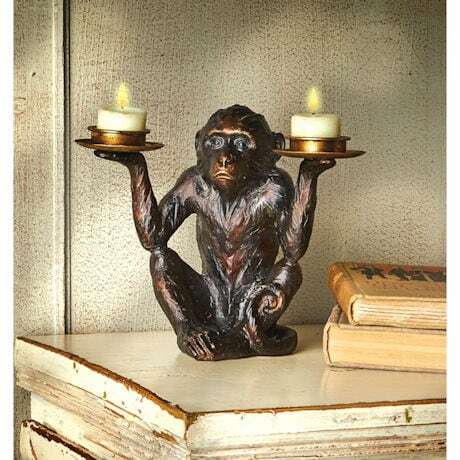 Cast polyresin with a bronze finish, a little monkey holds a pair of tea lights in golden metal cups. Tea lights not included. 8"h x 9"l x 5"d. Imported.